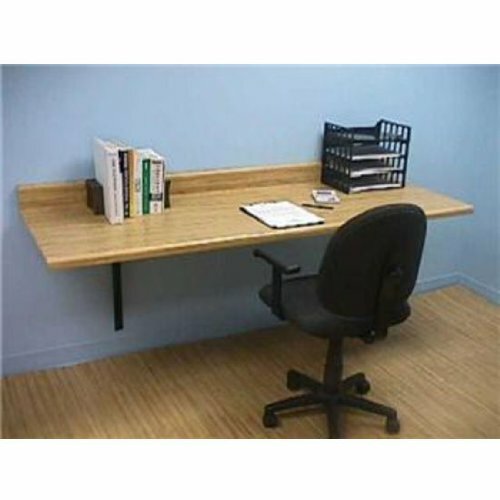 The Best Brackets 18 inch D x 24 inch H Work Station and Counter Top Support Brackets offer flexible installation paired with strength and durability. The 1/8" steel construction means strong support for the heaviest work surfaces, with a weight load limit exceeding 1,000 lbs. Several choices of powder-coated finishes and a pre-primed ready-to-paint option ensure a versatile and almost invisible installation from the workplace to a child's bedroom. Multiple 1/4" mounting holes, mounting hardware not included, give mounting flexibility, and the reversible design means that a variety of different sized work or counter tops can be used. A 3" x 3" 45° notch allows for wall cleats and concealed wire and cable runs, helping organize the work space. Available in full box quantities only, these brackets come in boxes of 6, with equal quantities of right and left brackets. The brackets are available in Black, Gray and Almond powder-coated finishes, and a pre-primed ready-to-paint finish.